As solid-state drives become more affordable, many of us are getting on board and using them for our systems. Whether it’s in a desktop or laptop, you’ll be seeing a substantial speed bump with faster load times and responsiveness all round. 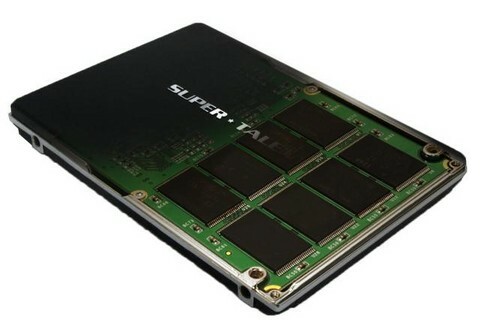 The main issue/weakness are the costs of SSDs and how the drives can get much more expensive as the capacity grows. This will gradually improve as time goes by with increased production volumes and general availability. Most of us for obvious cost reasons will often opt for a lower capacity SSD to act as a boot drive, having said that you’ll have to be flexible with the space you have to work with. We’ll start out with the more basic tweaks that you can carry out to let you reclaim that much needed space and perhaps yield some gains in performance. A result of DisableDeleteNotify = 0 indicates that TRIM is enabled while 1 means that it is disabled. If the AHCI controller is listed then your system configuration is set to AHCI, while is no particular controller is listed then it is not. We’ll carry on next time with this mini-series with more complex tips towards the end, be sure to keep an eye out. Now everything’s settled for the company after the whole Sandy Bridge recall fiasco, Intel is prepping a X58 successor for early 2012. Below is a leaked slide highlighting all the details for what to expect on the board when it hits, but interestingly there’s no mention of USB 3.0 whatsoever. This is rather a special case since we should see at least a pair on the I/O connectors and even an internal header, especially for an higher end board. There are plenty of SATA 6Gbps (10 total), and whopping 14 USB 2.0 connections can be made. It’s a possibility that all this isn’t finalized and Intel is in fact currently concentrating on their Thunderbolt standard, so we’ll see what this new X79 platform will bring us in the near future. Not sure if we actually need connectivity for that many USB 2.0 ports, and perhaps the info is on another slide. Hopefully. We thought this would be the most appropriate roundup to finish off the week, and hopefully this can allow everyone to get a better understanding of the problems many manufacturers and early adopters are facing. With us further into the week now, some major OEMs and distributors are somewhat more aware of the issue we have at hand but it surprised us that some were still selling products after Intel issued the notice. We also got official statements from most of the major motherboard companies with also industry leaders like Dell and HP either pulling sales of current models or pushing back announcements of scheduled products. Feel free to check out any of the links below, or the ones in particular that affect you. UPDATE: We added a couple more links that may be helpful towards some of you – there is however a “feature” link that we want to mention. Gigabyte actually came up with a small utility that checks your SATA configuration, so you wouldn’t have to pop open your case to take a peek inside. It also makes a recommendation to move any of the devices if you have them plugged into the SATA II (3 Gbps) ports. Here’s the link to the download page for your convenience. We totally understand if that’s what you’re wondering right now, but you will only be affected if you recently bought a motherboard or system that contains Intel’s recent Series-6 (aka Sandy Bridge on LGA 1155) chipset. Note that the processor (CPU) itself is not affected, and the issue currently lies on all motherboards that were shipped since the launch of this new line. The discovered major flaw was enough to halt current manufacturing and shipments, but rest assured that other Intel products are not affected (e.g. X58, P55, H55, etc.). Intel estimates total costs for existing replacements and repairs that they will incur is about $700 million. So what’s the problem here? The problem is hardware related and affecting the SATA II (3 Gbps) that are on the “Cougar Point” chipsets. Some sort of silicon-based fix will be required at the metal layer, and this includes all products that are currently shipping or have already been shipped (e.g. P67, H67). Also to note that all desktops, notebooks, and servers that are based on the Sandy Bridge chipset are affected. What happens if I bought (or built) a Sandy Bridge system recently? Manufacturers are indicating that revised motherboards for both desktops and notebooks won’t be available until April (this year), as Intel won’t be providing revised chipsets until mid-March. As for standalone motherboard purchases, most boards bear a 3 year warranty – so you are most likely to be covered. VSPC will be contacting affected clients with the steps they should take regarding this issue, and any of our currently offered builds that has this faulty chipset will be temporary unavailable for the time being. If you are thinking of buying or building a system, we’d recommend that you hold off at least until April. Based on what we’re hearing at this point, the chipset may have a higher chance of failing only when it’s under heavy use and to reduce any lost of data or corruption – we advise that all hard drives should be moved to any available Intel or third party SATA III (6 Gbps) ports (e.g. 0 and 1). If you require to use any of the SATA II (3 Gbps) ports, allocate the least critical drive(s) instead (e.g. DVD drive). UPDATE: Some companies are also pointing out that with the shortage of copper and other materials required for manufacturing, delays may end up stretching beyond the expected April time frame. We’ll also post any other updates here that are either coming from Intel or any other major manufacturers (e.g. regarding replacements or refunds). This usually isn’t something common for us to cover, but as the title implies Marvell will be releasing their new 88SE9130 6GB/s SATA Controller which uses a propriety HyperDuo technology. The chip mechanism is suppose to combine a traditional hard drive and solid state drive into a single logical unit. You’ll get faster speeds versus spinning disks as this will take the SSD and use it as a cache for the hard drive. Expect motherboards and separate add-on cards with the 88SE9130 6GB/s SATA Controller to hit the shelves before Q3 of this year.